Please join us for our 12th Annual Keratoconus Patient Educational Seminar! 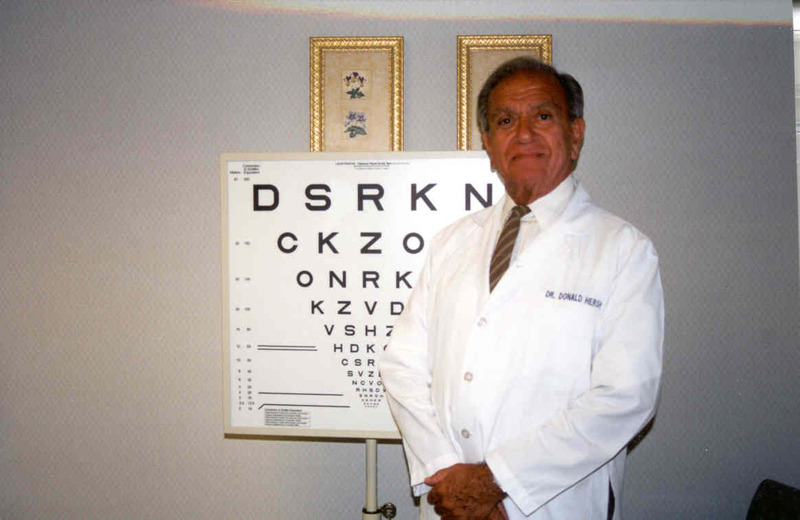 This annual seminar is in Loving Memory of Dr. Donald Hersh, who dedicated his optometric expertise to contact lens management of corneal diseases, particulary keratoconus. Breaking News for Corneal Collagen Crosslinking! On December 1, 2012, The CLEI Center for Keratoconus, a division of The Cornea and Laser Eye Institute-Hersh Vision Group in cooperation with the National Keratoconus Foundation held our 8th Annual Keratoconus Patient Educational Seminar, “Keratoconus: Technology, Treatment Success” at the Glenpointe Marriott Hotel in Teaneck, New Jersey. For all who attended, the seminar wasan interactive session between the participating doctors and attendees. Presentations covered the entire gamut of keratoconus from diagnosis to new treatments currently under investigation. Dr. Peter Hersh, M.D., founder of The Cornea and Laser Eye Institute and The CLEI Center for Keratoconus lectured on new surgical strategies for KC. Intacs, Conductive Keratoplasty, new corneal inlays, and laser procedures to rehabilitate the cornea in select KC patients, will all be reviewed. Dr. Hersh also discussed laser assisted corneal transplantation (IEK) and deep lamellar keratoplasty (DALK). These are newer methods of corneal transplantation that may be beneficial in keratoconus. IEK uses a femtosecond laser to prepare both the recipient and donor cornea to matching specifications. A zig-zag edge design may be made with the laser to improve graft-host fit. This may improve corneal strength, speed of visual rehabilitation, and improve astigmatism after the transplant procedure. It may also allow for the use of excimer laser PRK afterwards to correct residual refractive errors. DALK removes only the front part of the cornea, leaving the endothelium and Descemets membrane intact. This may have the advantage of decreasing the risk of corneal graft rejection in some cases. Dr. Hersh also discussed work that his group is performing in collaboration with the Department of Mechanical and Aerospace Engineering at Princeton University. Dr. Hersh reviewed entry criteria for 3 clinical trials of collagen crosslinking that he and The CLEI Center for Keratoconus are currently sponsoring. Recruitment for these clinical trials is currently underway. One study is looking at crosslinking using 2 different types of riboflavin drops and the other is assessing CXL combined with Intacs. Further information about these trials can be obtained at www.clinicaltrials.gov, trial numbers NCT01112072 and NCT01152541. Information about enrollment for CXL can be obtained from the CLEI Center for Keratoconus at info@vision-institute.com or by calling 201-883-0505. The CLEI Center for Keratoconus annual seminar is always well received and enjoyed by all participants. Each year our seminar grows and we try to improve upon topics each year. Such seminars, with the support of the National Keratoconus Foundation are meant to be educational and to keep those with keratoconus, as well as their family and friends, up to date with the latest advances on the disease. For information about attending this year's seminar please call us at 201-883-0505 or email info@vision-institute.com. At the CLEI Center for Keratoconus, we are involved in a number of educational programs for keratoconus doctors and patients. 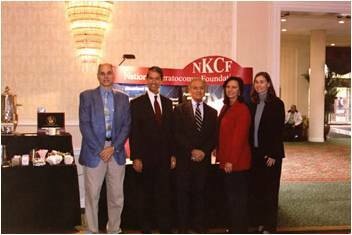 In the Fall of 2013, we will sponsor our 9th Annual Keratoconus Patient Symposium in association with the National Keratoconus Foundation. In a very successful program last year, nearly 150 keratoconus patients attended. The symposium was enjoyed by all. Through ongoing programs such as this, we hope to bring the latest in information regarding the state of the art in our scientific understanding of keratoconus and treatment options. Background, diagnosis, and contact lens and surgical approaches to keratoconus management will be addressed in detail. In addition to this major event, the CLEI Center for Keratoconus sponsors regular Support Groups for Keratoconus patients.